Carrom has a rich history in India as a pastime sport in almost every household of the country. Children specially enjoy the sport, and also create social gatherings among themselves. However, that is not all what carrom is about; Indian carrom players are one of the best the world has ever seen! 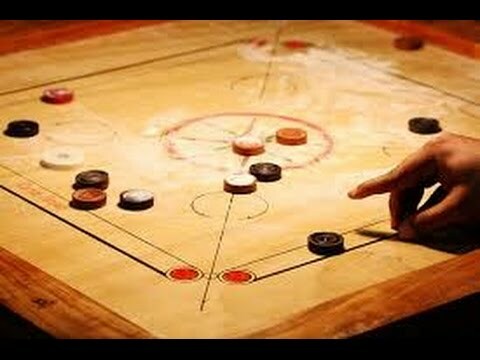 Let us talk about some of the achievements of Indians in the world of carrom. There have been numerous champions from India at the World Championships since the early 1990s, and India has a total of 26 medals at the Championships. AM Irudayam and RM Shankara have won the gold twice at the World Championships, while P Nirmala has four silver medals to her name at the Carrom World Championships. Yogesh Pardeshi and Rashmi Kumari are India’s most successful players at the Carrom World Cup, winning three medals each. However, Yogesh has two gold medals to his name along with a bronze. In total, India has 17 medals at the World Cup so far. India’s favorite carrom competition is the SAARC championships. The team has won a total of 38 medals; the tally includes 18 gold medals, with many of India’s players winning the championship more than once. India’s AM Irudayam has been recognized as the International Champion of Champions in carrom for the year 1998. He is the only Indian to have achieved the feat. Irudayam is also a proud recipient of the Arjuna Award, making him the only person from the sport to have this distinction. These records don’t give a sense of carrom being just another household sport in India, now do they?